Manual gearbox fans will be delighted to hear this - Toyota has confirmed that a manual transmission has been developed for the new Supra. As reported by Australian publication Car Advice, Assistant Chief Engineer Masayuki Kai was quoted saying in an interview that a stick-shift has actually been developed for the sports coupe. However it is meant for right-hand drive markets only, giving enthusiasts in Singapore some hope in getting the car in its purest form. “This is not yet finally decided [introduction of a manual transmission], and depending on feedback from the market, we will decide if we should introduce a manual transmission. “We have developed it, yes, there is hardware ready. Right-hand drive? Yes, of course. It needs to be sold in Japan, which is a right-hand drive market,” he confirmed. 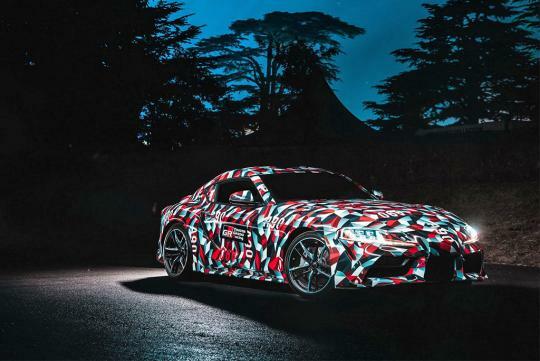 This news comes after months of reports and rumors claiming that the Supra is highly unlikely to be paired with a manual gearbox. It remains unknown whether the manual can be had with the 3.0-litre six-cylinder turbo or the smaller 2.0-litre turbo four.